What's WhatsApp? Some hugely popular messaging service all the young kids are using. But wait, BlackBerry is still around, so use its BBM platform. Why? Because it now offers stickers, which you pay for in packs, kind of like a little kid would when making their binder "unique" and "fun." BlackBerry said its stickers are bolder and more beautiful, "unlike emoji," and make chats much more lively than simple text. "We can't wait for you to meet the whole gang," BlackBerry said on its blog. Packs include between 20 to 25 stickers relating to a theme or character: CosCat, Gilbert's Tale, Bubble Bot and more. Stuff that definitely caters to BlackBerry's business user base. 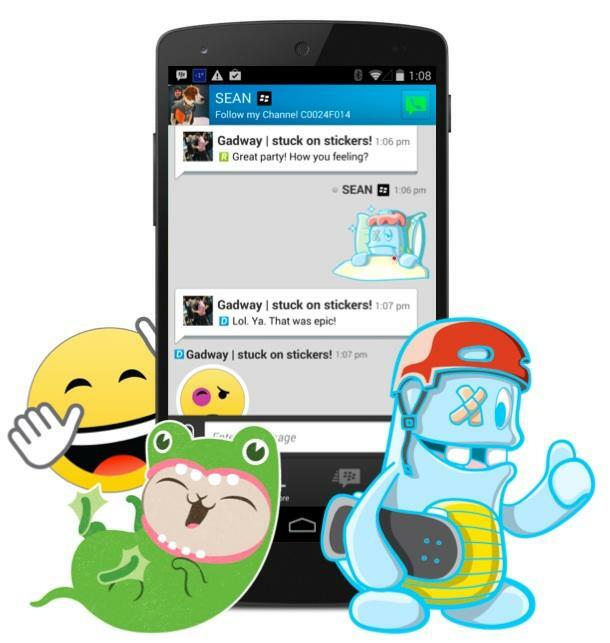 The company's bold new initiative is part of an external beta for stickers and the BBM Shop; some sticker packs will be available for free, though some will need to be purchased. It's unclear how users can take part in the sticker beta, or when it'll be available on a wider basis. But BlackBerry says all the pertinent information will be revealed in due time. BBM still has an impressive user base, which has grown since the company opened it up to other platforms. But compared to other services, such as WhatsApp, BBM pales in comparison. Stickers is a neat way to attract new users, but will it make non-users actually flock to the platform? Probably not.